Guitarist PATRICK CALLAHAN has quit South African rockers Seether. The rocker made his decision on Wednesday (14JUN06), according to a posting on the group's MySpace.com website. Neither party has offered a reason for his departure. Callahan became a full-time member of the group in 2004 after he was added to the original trio following a lengthy spell as their tour guitarist. In the posting, Seether writes, "We hope that the fans will understand and respect this issue without distorting it into a convoluted and nasty misunderstanding, as it wasn't. 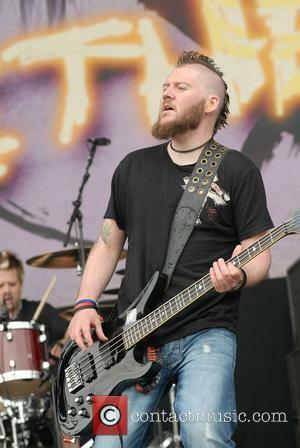 Seether wishes Pat all the best in his future endeavours." The group, fronted by SHAUN MORGAN, plan to continue as a three-piece. Morgan writes, "(We have) decided not to replace (Callahan) at this time with another guitarist. (We'll) take it back to where it began and keep it running as a three-piece unit."